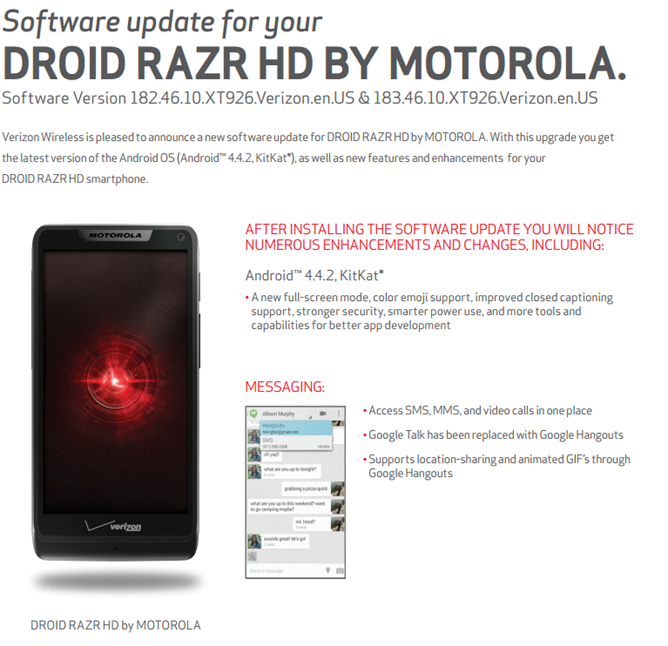 This is the big one for the DROID RAZR M, DROID RAZR HD and DROID RAZR MAXX HD, which should be updated all the way to Android 4.4.2. According to Verizon's release notes, in addition to the improvements to standard Android, the 2012 DROIDs are getting an updated version of the DROID Zap app and patches for security, WiFi, and roaming. The HD and MAXX HD also get an improved HDMI implementation, though exactly what has changed isn't clear. 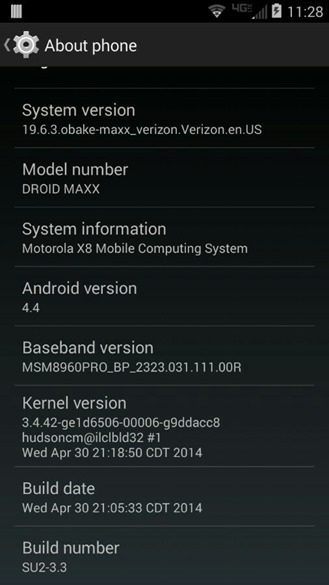 But don't worry, 2013 DROID owners, there's a neat goodie in there for you. 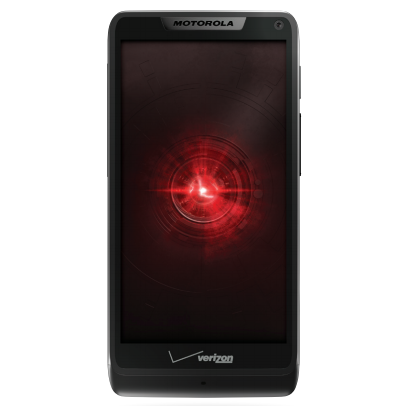 Though the DROID Mini, DROID Ultra, and DROID Maxx weren't updated to 4.4.2 (they got the slightly older 4.4 update already), there is one notable change to the user interface. The permanent status bar icons are now standard KitKat white instead of blue, a change that was left out of the initial upgrade for some reason. Hooray! Now the 2013 DROIDs look almost identical to the Moto X. You can see the old and new styles below. Other changes include bug fixes and roaming enhancements. 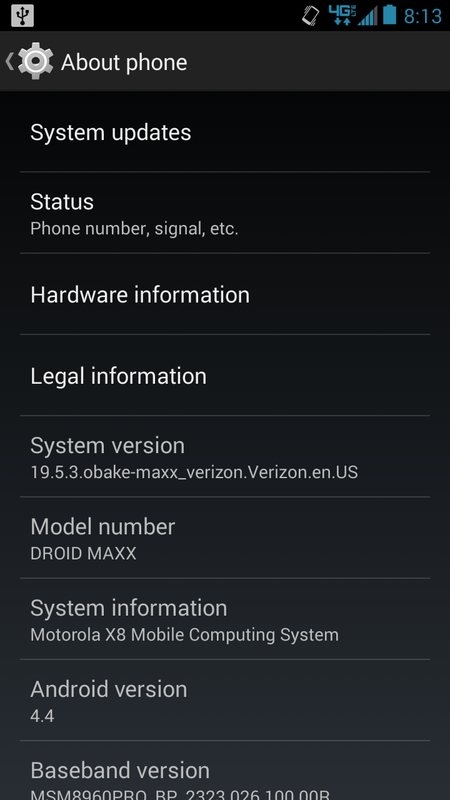 You know how this goes, Android power users: Verizon is releasing the updates in batches, so don't be surprised if yours doesn't come for a few days. 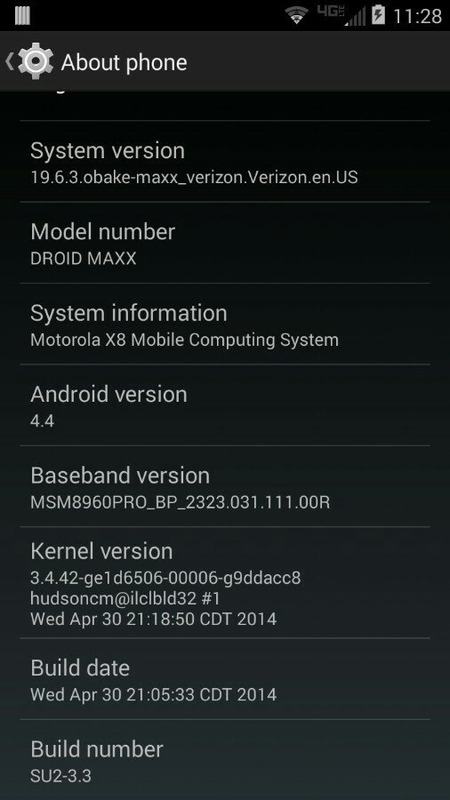 Check the usual user forums for a manual OTA ZIP file if you're impatient and you know what you're doing.